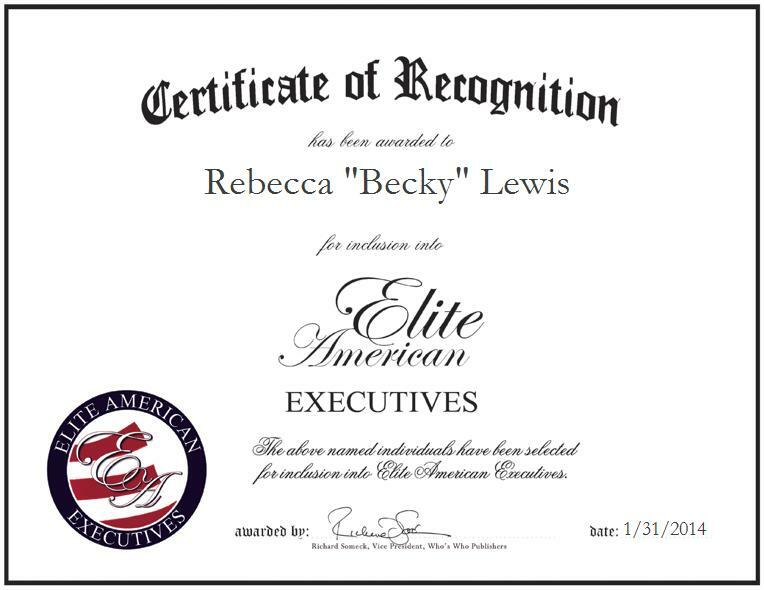 VIENNA, VA, January 31, 2014, Rebecca “Becky” Lewis, Vice President of ICS Nett, Inc., has been recognized by Elite American Executives for dedication, achievements and leadership in information technology.Ms. Lewis started her career as a fast food manager, and the company asked her to spearhead a new human resources department. She then worked for Fanny Mae and gained extensive experience in finance before joining ICS Nett, Inc. She also worked for Collins Consulting Group, GTE Government Systems, and Contel Federal Systems. Throughout her career, Ms. Lewis has built the vision and strategy for a number of human resources departments in differing verticals, such as information technology, hospitality, and federal consulting. She has enabled companies to attract, retain, develop and engage their workforce. Ms. Lewis continues to excel in her career and has become an integral member of ICS Nett’s staff. In her role, Ms. Lewis is responsible for handling employee relations issues, policies and procedures.A luminary in the field, Ms. Lewis attributes her 32 years of professional success to her determination and her ability to see issues from all sides. Looking toward the future, Ms. Lewis hopes to groom people to take over departments.